Apple has asked the European Commission to intervene in its patent battle with Motorola Mobility, according to a filing with the U.S. Security and Exchange Commission (SEC) made by Motorola Mobility late Friday. In its annual report, Motorola Mobility said that Apple has filed a complaint with the Commission, the European Union's executive and regulatory body, regarding Motorola Mobility's attempts to enforce patents related to various industry standards. In dispute are so-called essential patents held by private companies but used in industry standards and, in agreement with international standards and regulatory bodies, licensed under fair, reasonable, and non-discriminatory (FRAND) terms. "On February 17, 2012, the Company received a letter from the European Commission, Competition Directorate-General, (the 'Commission') notifying it that the Commission has received a complaint against Motorola Mobility, Inc. ('MMI') by Apple, Inc. ('Apple') regarding the enforcement of MMI's standards-essential patents against Apple allegedly in breach of MMI's FRAND commitments," Motorola Mobility said in its annual report. "Apple's complaint seeks the Commission's intervention with respect to standards-essential patents." Officials at the companies were not immediately available for further comment. The complaint, however, turns the heat up on a dispute that has been boiling for a while, and which has gained significance since Google recently won E.U. and U.S. approval to acquire Motorola Mobility for its portfolio of patents. Apple earlier this month removed some products from its online store in Germany after getting hit with a court injunction by the Mannheim Regional Court, which had ruled that some iPhone and iPad devices infringe a Motorola patent. Shortly afterward, the injunction was suspended, freeing Apple to sell the products again. The suspended injunction was one of a series of legal battles in Europe and the U.S. involving patent infringement. 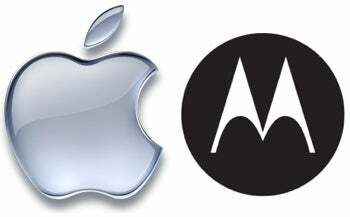 Motorola Mobility also accused the iPhone maker of infringing its technology patents in a Florida court last month. On its part, Apple scored a victory Thursday as the district court in Munich on granted an injunction against some of Motorola's smartphones for alleged violations of an Apple patent for unlocking touchscreens. Underlying several of the patent cases is a disagreement over how companies should deal with essential patents. When patent-infringement negotiations over FRAND terms fail, Google has pressed for continued use of injunctions to block the sale of allegedly infringing products. Apple's suggested terms, however, include the promise to not block the sale of products. As the number of patent dispute cases proliferate, the European Commission is likely intervene, according to Florian Mueller, a patent analyst. "I am sure that Brussels will take the time it needs to understand the issue, but time is of the essence because of what's already going on, so I think a decision on whether or not MMI will be formally investigated is only a few months away," Mueller said in his blog. "I think formal investigations are reasonably likely here."